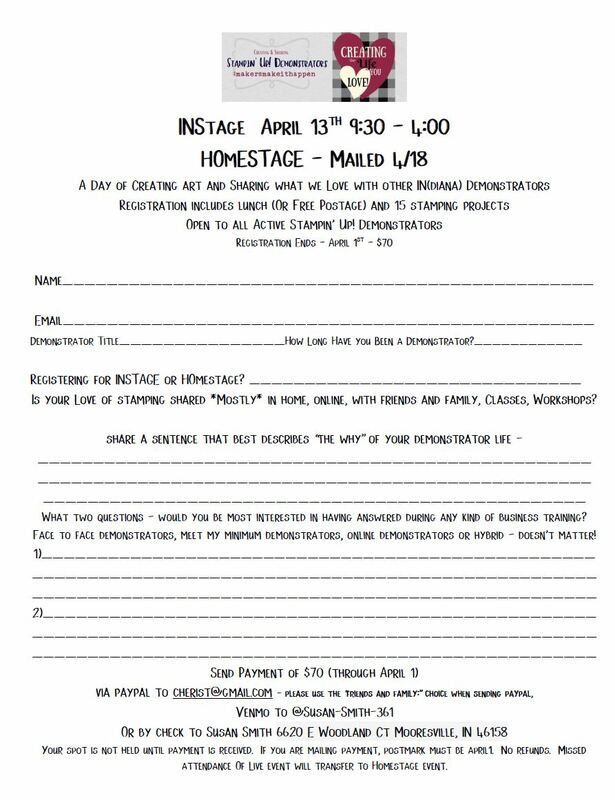 Registration Deadline: INStage and HOMEStage Events! 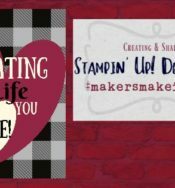 If you are a Stampin’ Up! Demonstrator – you won’t want to miss our upcoming event! Today is the LAST day you can register. **Everyone who attends this event will become one of our DEBUT members. We have a goal of hosting these 2 times a year. As a DEBUT member: from now until we stop holding them – you will always be eligible for something a little extra at our future events! Whether it’s an additional project, an extra*extra early bird discount, a special goodie in your bag – something that will always be our way of thanking you for being part of our FIRST INStage! For ‘previews’ of what kind of things you can expect (but not any of what we will actually be doing, lol) – here is a video from our Facebook Live today. Click the Picture to Watch the Replay of Today’s Facebook Live! Here is all of the Event and Registration Information. The Live event takes place just outside Indianapolis – the mailed/online event will be sent out a few days following. 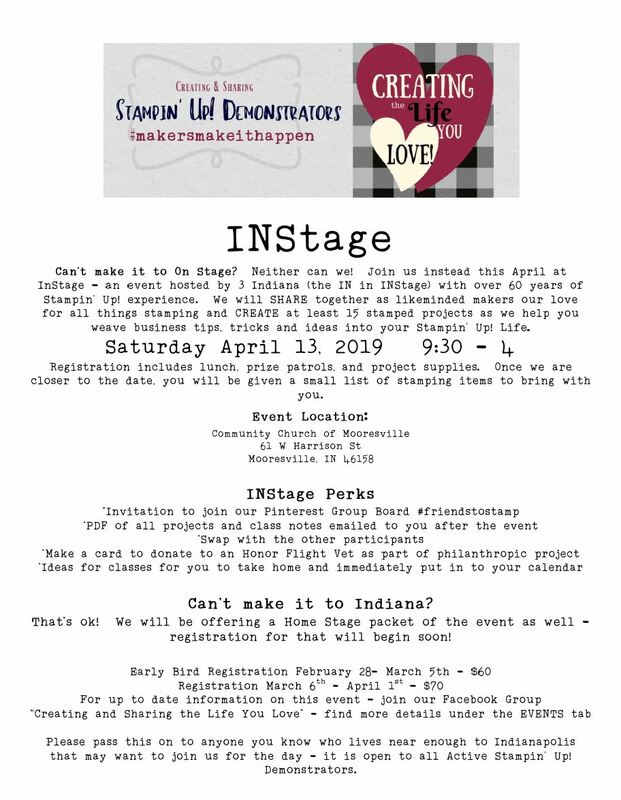 You can join our Facebook Group that is open to ALL demonstrators (even if you are not attending the event) at “Creating and Sharing the Life You Love” on Facebook. 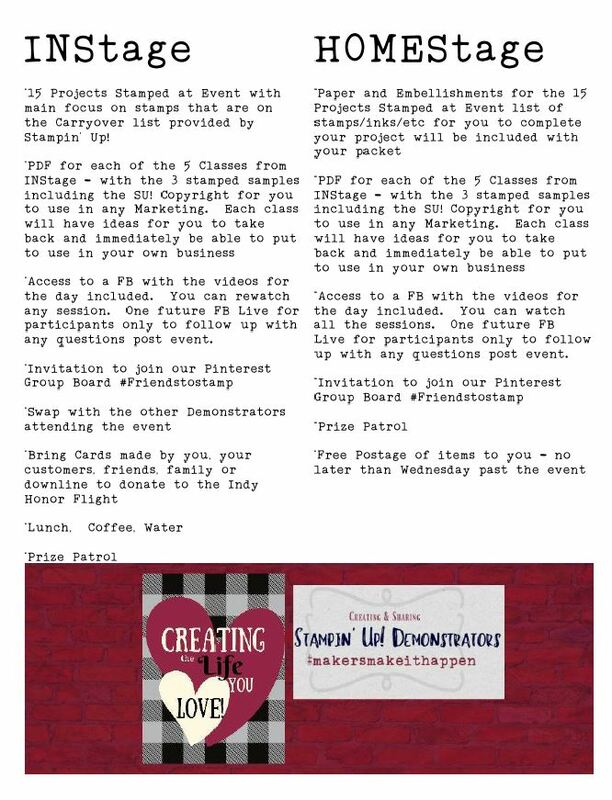 We also have a public page for everyone – so if you are just a FAN of Stampin’ Up! you can join that – you can find that @friendstostamp on Facebook. We do lives every week – sometimes in the private group and sometimes on the public page – so you want to make sure to follow them both! How does a WHOLE STACK of FREE NEW ink pads sound to you?? Introducing my new interactive loyalty program! 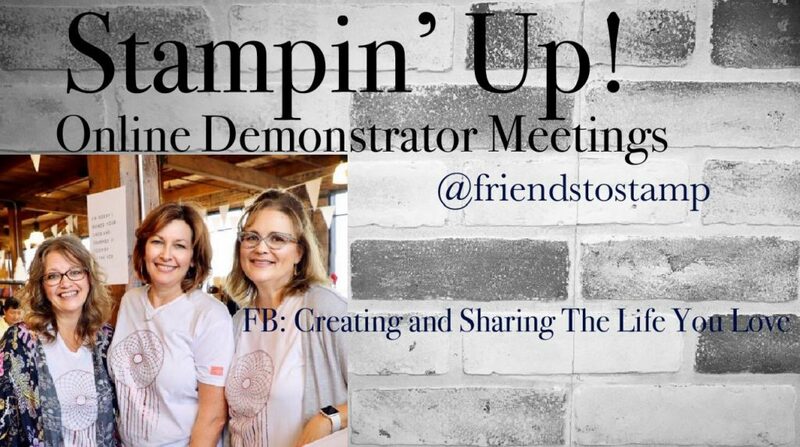 @Friendstostamp New Online Demonstrator Meeting Video Posted & Final Days To Register for Our Event! Hello I’m still confused how this works and when. Sounds cool I love to get ideas!!! How much does it cost??! Hi Maria – the deadline for registration has passed, but if you want to sign up today we can still get you in. All of the information is on our Facebook page – Creating and Sharing the Life you Love. If you go there we can answer all your questions! I am getting ready to head out of town for the day, but the other girls will see the questions on Facebook!